Completed/Past Exchanges / Re: Holiday Exchange 2016 Sign Ups are now OPEN! That is stunning! Do you have more of his work? Niiice! Looks like real calligraphy to me! I recently watched Crimson Peak and when the protagonist wrote something with a penholder and nib I was looking very closely to see what nib she was using. I thiiink it was a modern Hiro one though! Have you tried only PX and liquid gum arabic? That might work. Could you show a picture of the writing and what the nib looks like when you dip it into ink? 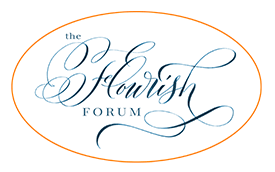 Open Flourish | General Discussion / Re: Thank you for your help. Maybe ask in the museum? @katerina I bought it in a store but they also have it on Amazon. Thank you for sharing, I love this! Tools & Supplies / Re: Sources of ink (Sumi and Walnut) in UK?